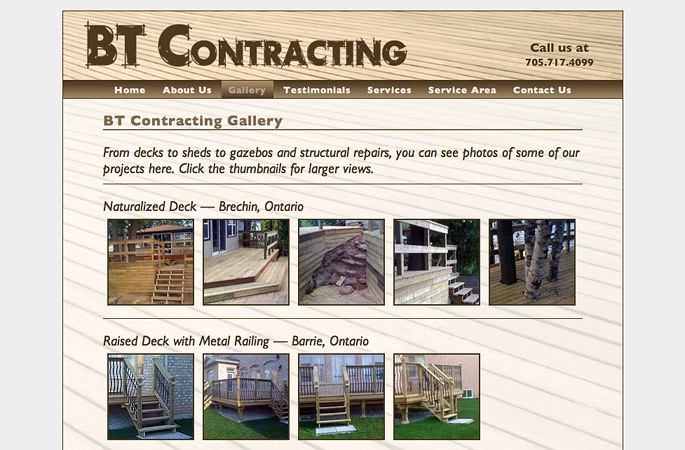 BT Contracting's website displays a portfolio of completed deck construction and home renovation projects marketed to a geographically targeted group of home and cottage owners. 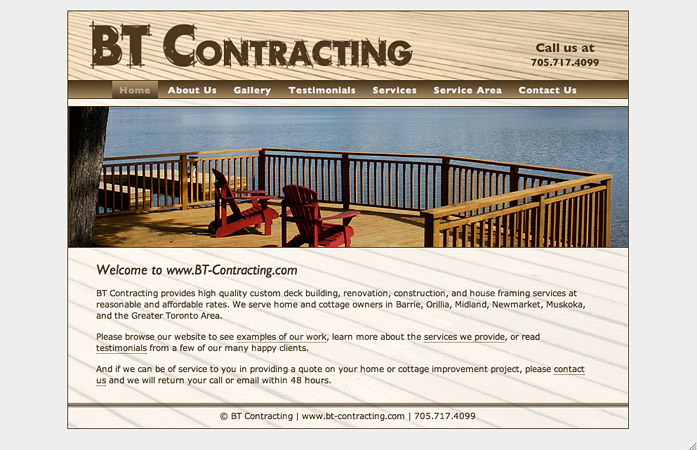 BT Contracting is a custom deck building, renovation, construction, and house framing business. Their website showcases completed projects to prospective customers. The website was supported by Google search marketing campaign targeted within the service area. The BT Contracting gallery provides access to a large library of photos documenting the construction process for numerous completed projects. 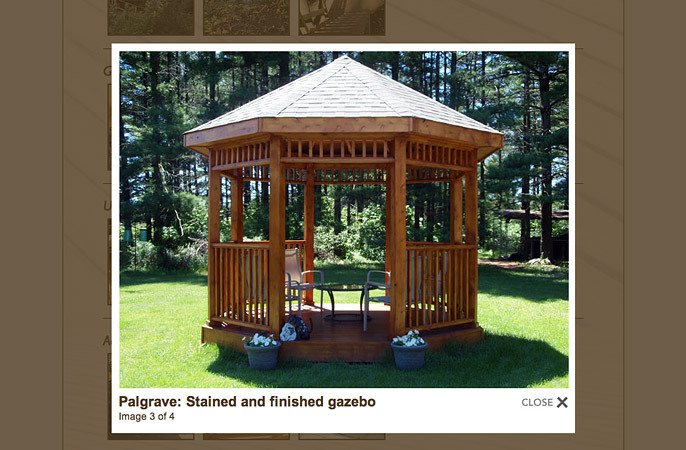 Gallery photos launch in a lightbox viewer with carousel navigation, titles, and captions. 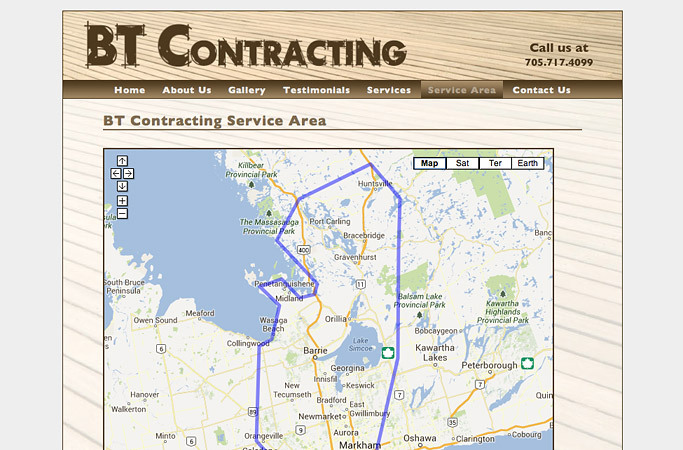 The area serviced by BT Contracting is outlined on a Google Map to clearly indicate to prospective customers whether or not they are within range.